The shooter, who was described by investigators as unstable and obsessed with guns, surrendered to police. 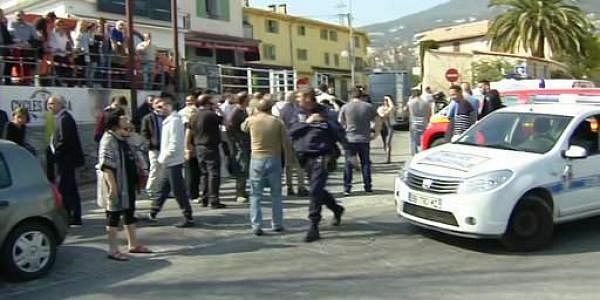 (File Photo | AP) In this image from TV, police cordon off the area as people gather to view the nearby high school, following a shooting in Grasse, southern France, on March 16. MARSEILLE: A second person was being held today over a shooting at a French school where a heavily armed teenager opened fire, slightly wounding three fellow pupils and a teacher, a judicial source said. A brother of a friend of the 16-year-old attacker was in custody, the source said, asking not to be identified by name. The shooter, who was described by investigators as unstable and obsessed with guns, surrendered to police after yesterday's attack in the southeastern town of Grasse. He was found in possession of a rifle, two handguns and a grenade. A source close to the investigation said today that the weapons belonged to his parents and grandfather. The attack at the Alexis de Tocqueville high school, in a quiet town known mainly for its tradition of perfume production, was linked to difficulties the youth was having with some of his classmates. In all, 14 people were injured, most of them hurt in a stampede triggered by the shooting. The attack jarred nerves in a country still reeling from a series of jihadist attacks that killed over 230 people between January 2015 and July 2016.